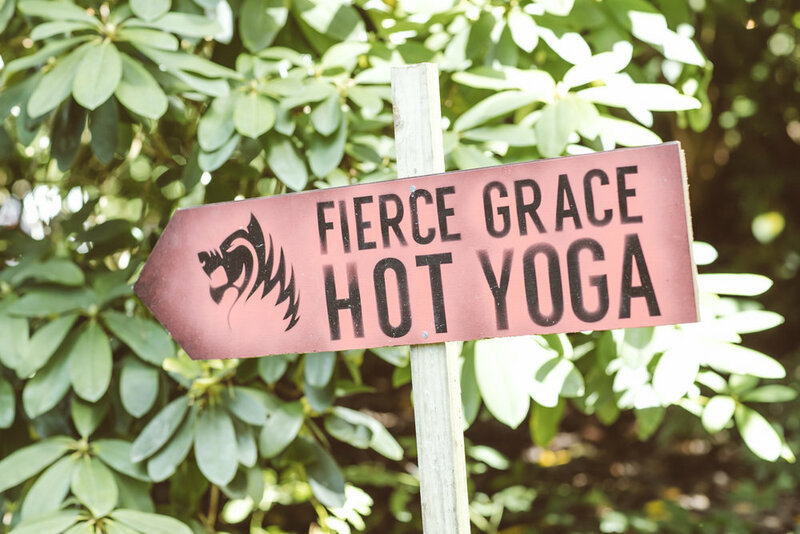 Fierce Grace are heading back to LoveFit this summer for back to back sessions throughout the weekend in their hot yurt. This year, founder Michele Pernatta will also be gracing us with a main stage workout and we can't wait. Fierce Grace is a new yoga system, and a new brand. Fierce Grace led the UK in the Hot Yoga revolution, by bringing Bikram Yoga to London way back in 1994. Now they are bringing you the chance to achieve the ultimate blend of strength and flexibility for both body and mind. Based on classical hatha yoga, Bikram and Ashtanga yoga, and sequenced in ways that adhere to ancient yogic principles as well as the latest cutting-edge research on attaining optimum results in the minimum amount of time, Fierce Grace is a unique series of 6 different classes based on the same core poses and principles, each with a different emphasis, duration and intensity. From the yoga shy or the injured to advanced yogis, Fierce Grace sessions are designed to be accessible and effective for everyone. The variety of classes gives practitioners different options to suit their experience, schedule and mood whilst still working together as a whole. Show up to any class and you will still get the core poses and core hot yoga experience our studios built their reputation on. Fierce Grace - Fierce Grace's signature general-level class set to an energetic and empowering playlist. Hip openers, deep twists, upper body strengthening, bum and ab toners, this class works on 100% of the body. Recommended for all levels, beginner, intermediate or yoga master, come down and give it a go. Guaranteed to make you sweat! Deep Core - Our deep stretch class. This relaxing, floor-based class is designed to realign postural issues, get deeply into tight areas and release stress. The slow pace improves flexibility, breath and alignment. Suitable for all levels. The Fix - A combination of the signature Fierce Grace class and a traditional hot yoga class, with some added surprises. This is a supercharged class designed to deliver all you need when you are high on motivation but low on time.